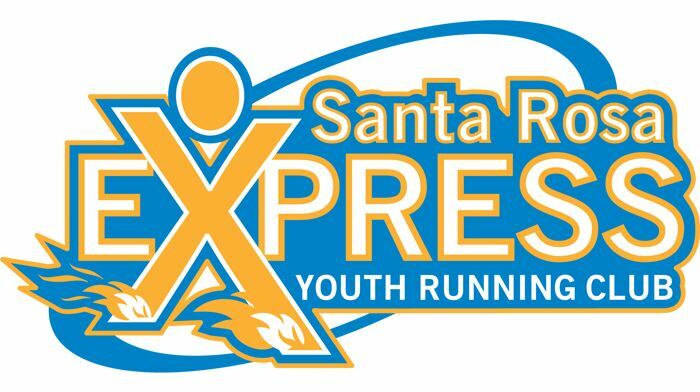 Santa Rosa Express was started in 1977 to encourage young athletes to learn the love of running. Runners learn the concepts of good sportsmanship while receiving training and coaching from a team of dedicated volunteers. The club is open to all boys and girls who are 7 or older (as of December 31 of the current year), up through high school. All levels of ability are welcome. Our coaches believe in a fun and healthy environment in which our athletes can develop at a rate designed for each individual. Our practices are challenging which will help build self-motivation in our leaders of the future. Santa Rosa Express Cross Country practice takes place at Howarth Park. Runs will begin at 2 miles long, shorter for the younger ones if they need it, and work up to 4 miles as the season progresses. The season begins early September to December. Santa Rosa Express Track & Field program is held at Santa Rosa High School, and exposes youth to running on the track and various track events. The season begins in March that runs through June.